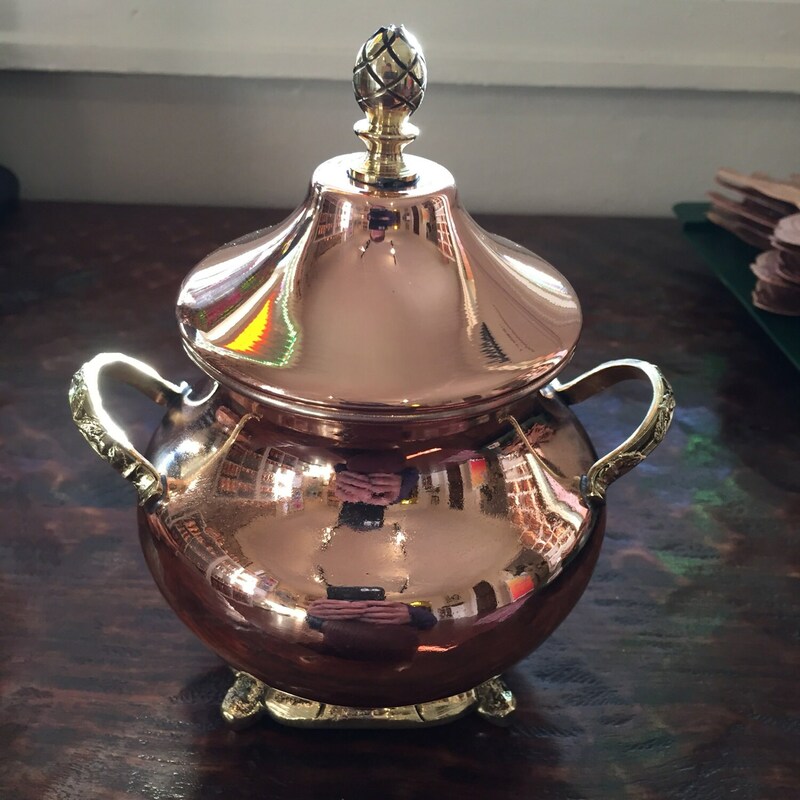 Decorative copper jar with lid. Perfect for sugar, tea, or coffee. 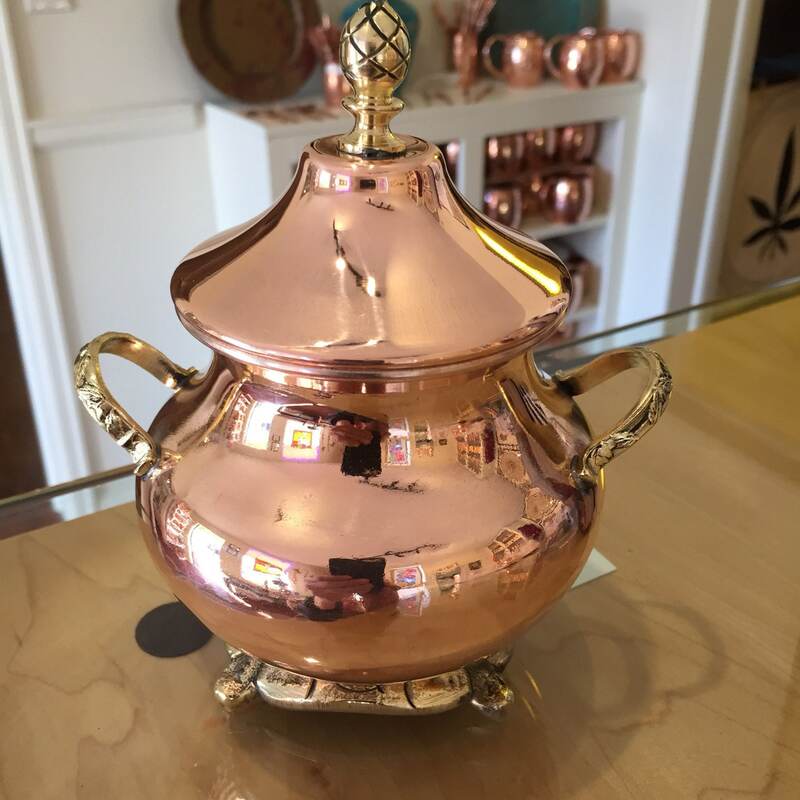 Copper with tin lining and brass handles. 4" diameter by 5 1/2" tall. Also great for serving candy & nuts. 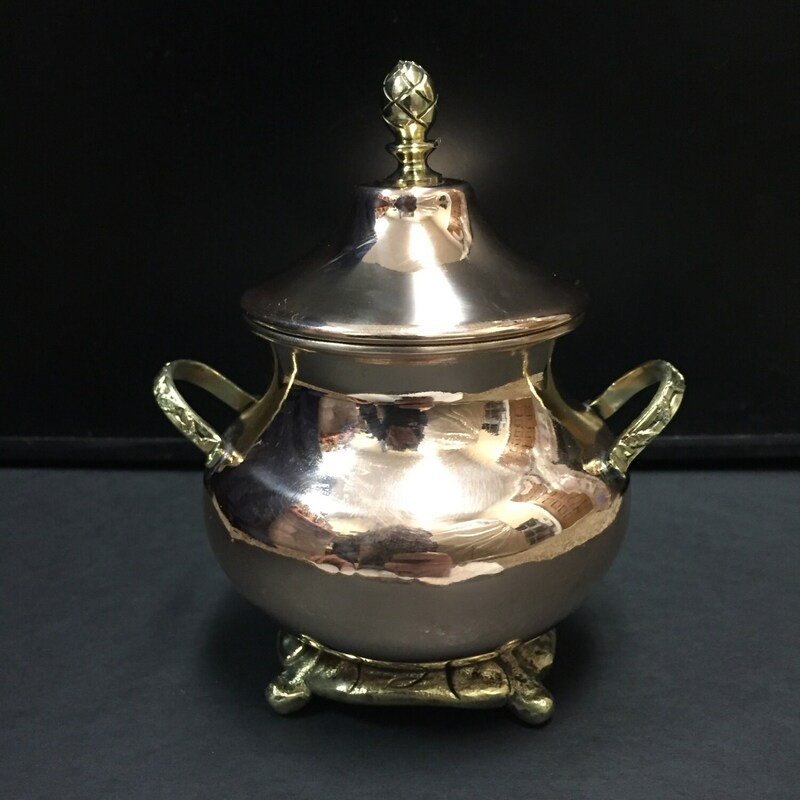 As a metal, copper will tarnish naturally over time. 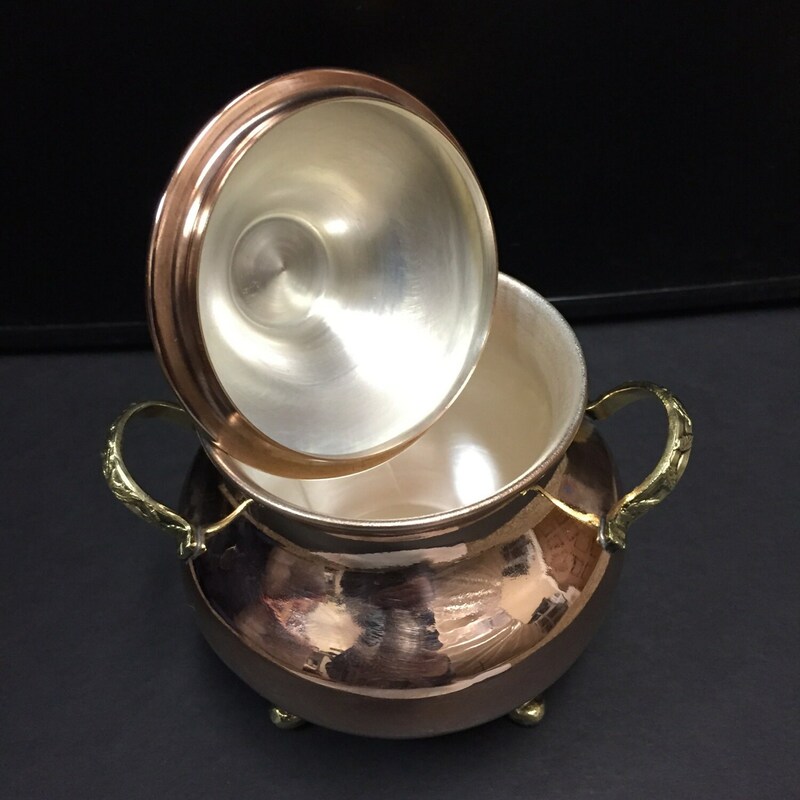 This can be prevented through proper copper cleaning techniques. 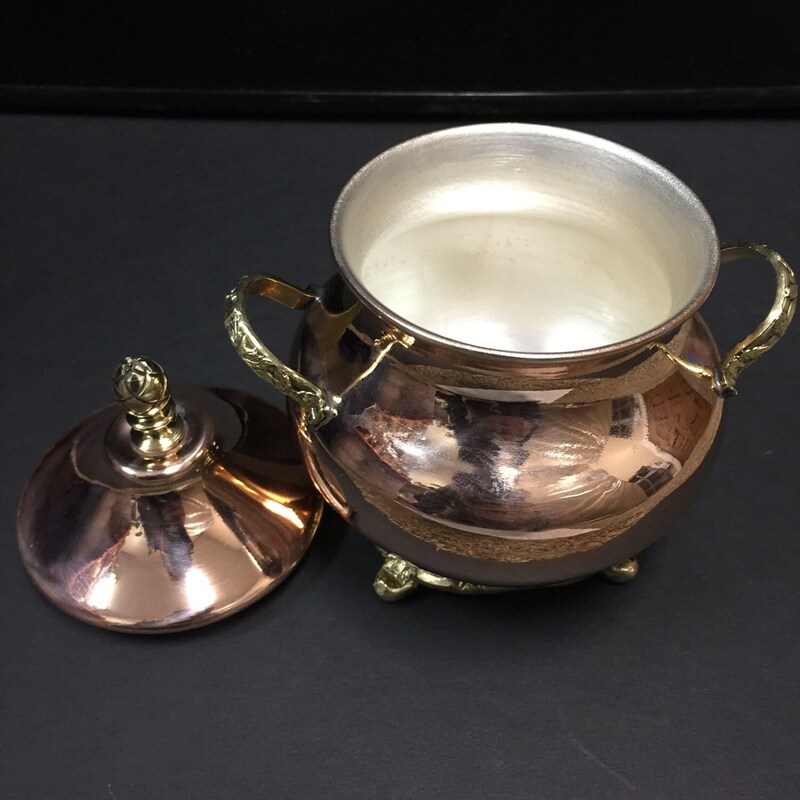 One way to clean them is to use a half a lime or lemon and sprinkle salt on it, then rub it over the copper to shine, then rinse with water and hand dry with a towel. Since these are all handmade, slight variations/imperfections may exist.